Bumble bee (Bombus sp.) pollinating native Hebe flowers. 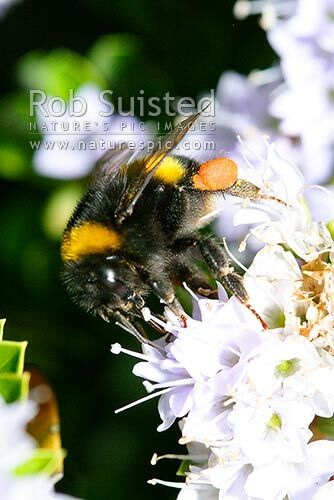 Note Pollen sacs on hind legs, New Zealand (NZ), stock photo.